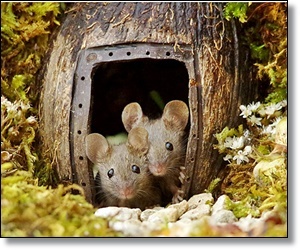 Recently, wildlife photography aficionado Simon Dell stumbled upon the family of a cute mouse running around his garden. Instead of reaching for the traps, however, he took out his tools. Dell built the mice a miniature village, and they repaid him by posing for adorable animal photography shots.